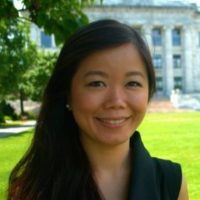 Dr. Wilma Chan completed her medical school education at Tufts University School of Medicine in 2010. She went on to complete a Masters in Technology, Innovation and Education at the Harvard Graduate School of Education. She subsequently completed her residency training at the University of Chicago, where she served as a chief resident. She pursued post-graduate training as an emergency ultrasound fellow at the Brigham and Women’s Hospital. She currently serves as an Assistant Professor of Clinical Emergency Medicine at the University of Pennsylvania. Her interests include point of care education and social media in education.